In accordance with s608 of the Local Government Act 1993, and other relevant registration, Council charges and recovers approved fees and charges for any services it provides as contained within its schedule of Fees and Charges. 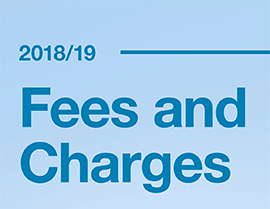 All of Councils Fees and Charges are reviewed on an annual basis prior to the finalisation of Councils Annual Budget. The Des Renford Leisure Centre (previously known as Des Renford Aquatic Centre) is an award winning facility located in Heffron Park, Maroubra. Moverly Childen's Centre managed and operated by Randwick City Council provides centre based care for up to 36 children per day.